Our Summer Fellow Program is our unique approach to developing law students in preparation for greater success as attorneys in a competitive marketplace. Each year the Firm hosts a small group of second year law students as Summer Fellows. These law students possess strong academic credentials and a demonstrated interest in a specific practice area. 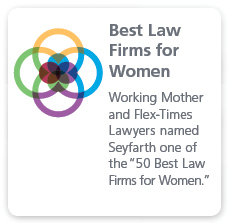 In recent years, our Atlanta, Boston, Chicago, New York and California offices have hosted Summer Fellows in its labor and employment, corporate, real estate, employee benefits and litigation departments. This interest is evidenced though participating in or completing coursework or a certificate program, prior work experience, and a strong desire to develop with the specified practice area upon graduation. Specialized training curriculum, including substantive seminars on important legal topics as well as training in ethics, client service, marketing, legal writing, communications, and finance. 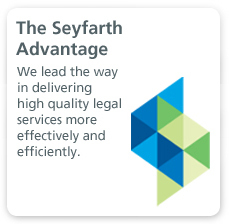 The specialized curriculum is taught by leading practitioners from Seyfarth Shaw. Practical learning opportunities, including attending depositions, court appearances and client meetings. 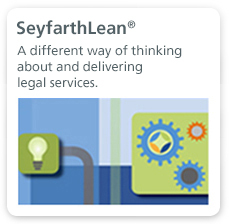 Cutting-edge legal work on active cases and client projects. The greatest strength of the Fellowship Program was the integration of all of our training sessions, assignments, and outside opportunities, which gave me a much more practical perspective of what it's like to be a practicing attorney. I really enjoyed the combination of work projects and substantive curriculum. It was great that the presenters were actual practitioners who could share substantive and practical knowledge with the Fellows.